With over 35 million wallets, $200B transacted, and the lowest fees in the industry, it’s no wonder we’re the most trusted cryptocurrency wallet. Rest easy knowing your crypto is secured with the world’s most trusted crypto wallet. We give you full control, back up your funds, and protect them from unauthorized access. You're the custodian, you have control. 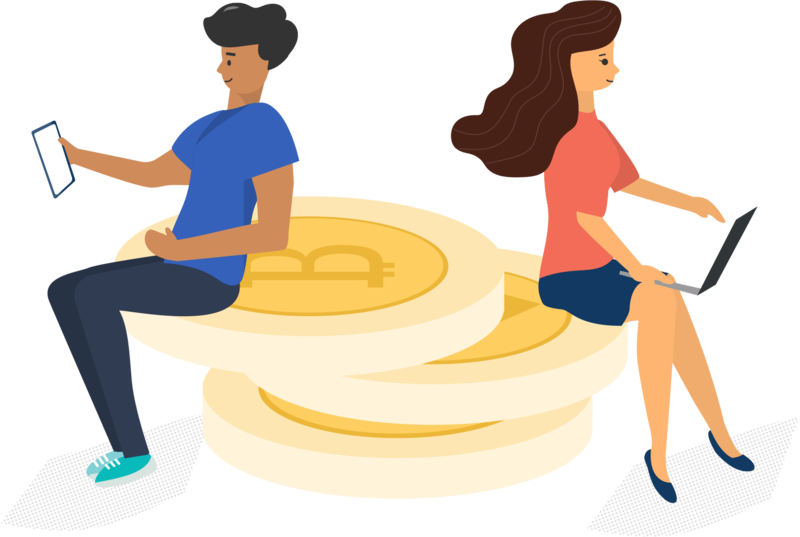 Whether you’re sending to a friend or transacting for business, Blockchain allows you to send and receive cryptocurrencies with the lowest fees. Easily exchange crypto-to-crypto within your Blockchain Wallet. We now offer buy and sell for users in many countries looking to invest in crypto without leaving your secured wallet experience.